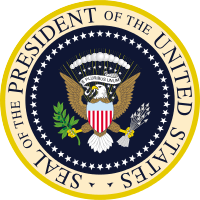 The United States presidential election of 1980 was the 49th quadrennial presidential election. It was held on Tuesday, November 4, 1980. 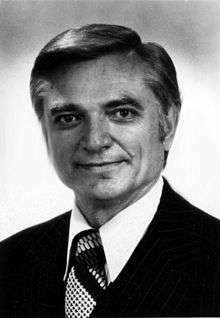 The contest was between incumbent Democratic President Jimmy Carter and his Republican opponent, former California Governor Ronald Reagan, as well as Republican Congressman John B. Anderson, who ran as an independent. Reagan, aided by the Iran hostage crisis and a worsening economy at home marked by high unemployment and inflation, won the election by a landslide, receiving the highest number of electoral votes ever won by a non-incumbent presidential candidate. 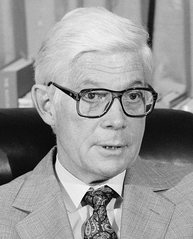 Carter, after defeating Edward M. Kennedy for the Democratic nomination, attacked Reagan as a dangerous right-wing radical. For his part, Reagan pledged to uplift the pessimistic mood of the nation, and won a decisive victory; in the simultaneous Congressional elections, Republicans won control of the United States Senate for the first time since 1955. This election marked the beginning of what is called the "Reagan Revolution" or Reagan Era, and signified a conservative realignment in national politics. Throughout the 1970s, the United States underwent a wrenching period of low economic growth, high inflation and interest rates, and intermittent energy crises. By October 1978, Iran, a major oil supplier to the United States at the time, was experiencing a major uprising that severely damaged its oil infrastructure and greatly weakened its capability to produce oil. In January 1979, shortly after Iran's leader Shah Mohammad Reza Pahlavi fled the country, Iranian opposition figure Ayatollah Ruhollah Khomeini ended his 14-year exile in France and returned to Iran to establish an Islamic Republic, largely hostile to American interests and influence in the country. 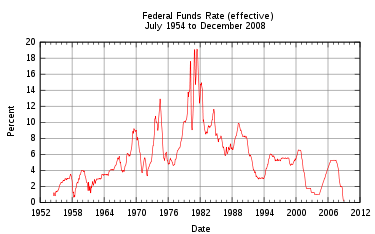 In the spring and summer of 1979 inflation was on the rise and various parts of the United States were experiencing energy shortages. With the return of the long gas lines that were last seen just after the 1973 Yom Kippur War, Carter was widely blamed and planned on delivering his fifth major speech on energy; however, he felt that the American people were no longer listening. Carter left for the presidential retreat of Camp David. "For more than a week, a veil of secrecy enveloped the proceedings. Dozens of prominent Democratic Party leaders—members of Congress, governors, labor leaders, academics and clergy—were summoned to the mountaintop retreat to confer with the beleaguered president." 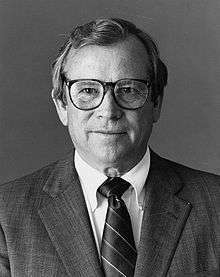 His pollster, Pat Caddell, told him that the American people simply faced a crisis of confidence because of the assassinations of John F. Kennedy, Robert F. Kennedy and Martin Luther King, Jr.; the Vietnam War; and Watergate. On July 15, 1979, Carter gave a nationally-televised address in which he identified what he believed to be a "crisis of confidence" among the American people. This came to be known as his "malaise" speech, although Carter never used the word in the speech. 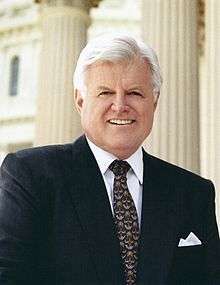 Many expected Senator Ted Kennedy to successfully challenge Carter in the upcoming Democratic Primary. Kennedy's official announcement was scheduled for early November. A television interview with Roger Mudd of CBS a few days before the announcement went badly, however. Kennedy gave an "incoherent and repetitive" answer to the question of why he was running, and the polls, which showed him leading the President by 58-25 in August now had him ahead 49–39. Meanwhile, an opportunity for political redemption came for Carter as the Khomeini regime again gained public attention and allowed the taking of 52 American hostages by a group of Islamist students and militants at the U.S. embassy in Tehran on November 4, 1979. Carter's calm approach towards handling this crisis resulted in his approval ratings jump in the 60-percent range in some polls, due to a "rally round the flag" effect. By the beginning of the election season, the prolonged Iran hostage crisis had sharpened public perceptions of a national crisis. On April 25, 1980, Carter's ability to use the hostage crisis to regain public acceptance eroded when his attempt to rescue the hostages ended in disaster and drew further skepticism towards his leadership skills. Following the failed rescue attempt, Jimmy Carter was overwhelmingly blamed for the Iran hostage crisis, in which the followers of the Ayatollah Khomeini burned American flags and chanted anti-American slogans, paraded the captured American hostages in public, and burned effigies of Carter. Carter's critics saw him as an inept leader who had failed to solve the worsening economic problems at home. His supporters defended the president as a decent, well-intentioned man being unfairly criticized for problems that had been building for years. The three major Democratic candidates in early 1980 were incumbent President Jimmy Carter, Senator Ted Kennedy of Massachusetts, and Governor Jerry Brown of California. Brown withdrew on April 2. Carter and Kennedy faced off in 34 primaries. This was the most tumultuous primary race that an elected incumbent president had encountered since President Taft, during the highly contentious election of 1912. John Anderson, after being defeated in the Republican primaries, entered the general election as an independent candidate, campaigning as a moderate Republican alternative to Reagan's conservatism. However, his campaign appealed primarily to frustrated anti-Carter voters. 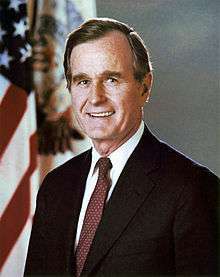 His support progressively evaporated through the campaign season as his supporters were pulled away by Carter and Reagan. 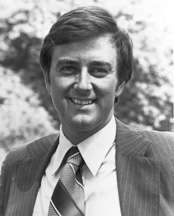 His running mate was Patrick Lucey, a Democratic former Governor of Wisconsin and then Ambassador to Mexico, appointed by President Carter. 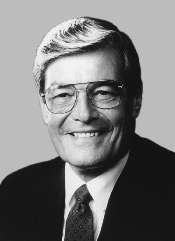 The Libertarian Party nominated Ed Clark for President and David Koch for Vice President. They received almost one million votes and were on the ballot in all 50 states plus Washington, D.C. Koch, a co-owner of Koch Industries, pledged part of his personal fortune to the campaign. The Libertarian Party platform was the only political party in 1980 to contain a plank advocating for the equal rights of homosexual men and women as well as the only party platform to advocate for explicitly for "amnesty" for all undocumented non-citizens. The platform was also unique in favoring the repeal of both the National Labor Relations Act and all state Right to Work laws. Clark emphasized his support for an end to the war on drugs. He advertised his opposition to the draft and wars of choice. The Clark–Koch ticket received 921,128 votes (1.1% of the total nationwide). This was the highest overall number of votes earned by a Libertarian candidate until the 2012 election, when Gary Johnson and James P. Gray became the first Libertarian ticket to earn more than a million votes, albeit with a lower overall vote percentage than Clark–Koch. It remained the highest percentage of popular votes a Libertarian Party candidate received in a presidential race until Gary Johnson and William Weld became the first Libertarian ticket to receive more than 3 percent of the popular vote in 2016. His strongest support was in Alaska, where he came in third place with 11.7% of the vote, finishing ahead of independent candidate John Anderson and receiving almost half as many votes as Jimmy Carter. Immediately after the conclusion of the primaries, a Gallup poll held that Reagan was ahead, with 58% of voters upset by Carter's handling of the Presidency. One analysis of the election has suggested that "Both Carter and Reagan were perceived negatively by a majority of the electorate." While the three leading candidates (Reagan, Anderson and Carter) were religious Christians, Carter had the most support of evangelical Christians according to a Gallup poll. However, in the end, Jerry Falwell's Moral Majority lobbying group is credited with giving Reagan two-thirds of the white evangelical vote. According to Carter: "that autumn  a group headed by Jerry Falwell purchased $10 million in commercials on southern radio and TV to brand me as a traitor to the South and no longer a Christian." Reagan promised a restoration of the nation's military strength, at the same time 60% of Americans polled felt defense spending was too low. Reagan also promised an end to "'trust me' government" and to restore economic health by implementing a supply-side economic policy. Reagan promised a balanced budget within three years (which he said would be "the beginning of the end of inflation"), accompanied by a 30% reduction in tax rates over those same years. With respect to the economy, Reagan famously said, "A recession is when your neighbor loses his job. A depression is when you lose yours. And recovery is when Jimmy Carter loses his." Reagan also criticized the "windfall profit tax" that Carter and Congress enacted that year in regards to domestic oil production and promised to attempt to repeal it as president. The tax was not a tax on profits, but on the difference between the price control-mandated price and the market price. In August, after the Republican National Convention, Ronald Reagan gave a campaign speech at the annual Neshoba County Fair on the outskirts of Philadelphia, Mississippi, where three civil rights workers were murdered in 1964. He was the first presidential candidate ever to campaign at the fair. Reagan famously announced, "Programs like education and others should be turned back to the states and local communities with the tax sources to fund them. I believe in states' rights. I believe in people doing as much as they can at the community level and the private level." Reagan also stated, "I believe we have distorted the balance of our government today by giving powers that were never intended to be given in the Constitution to that federal establishment." He went on to promise to "restore to states and local governments the power that properly belongs to them." President Carter criticized Reagan for injecting "hate and racism" by the "rebirth of code words like 'states' rights'". Two days later, Reagan appeared at the Urban League convention in New York, where he said, "I am committed to the protection and enforcement of the civil rights of black Americans. This commitment is interwoven into every phase of the plans I will propose." He then said that he would develop "enterprise zones" to help with urban renewal. Reagan made some gaffes during the campaign. When Carter appeared in a small Alabama town, Tuscumbia, Reagan incorrectly claimed the town had been the birthplace of the Ku Klux Klan—it was actually the home of the KKK's national headquarters. 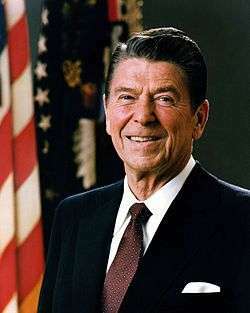 Reagan was widely ridiculed by Democrats for saying that trees caused pollution; he later said that he meant only certain types of pollution and his remarks had been misquoted. Meanwhile, Carter was burdened by a continued weak economy and the Iran hostage crisis. Inflation, high interest rates, and unemployment continued through the course of the campaign, and the ongoing hostage crisis in Iran became, according to David Frum in How We Got Here: The '70s, a symbol of American impotence during the Carter years. John Anderson's independent candidacy, aimed at eliciting support from liberals, was also seen as hurting Carter more than Reagan, especially in such reliably Democratic states such as Massachusetts and New York. An important event in the 1980 presidential campaign was the lone presidential debate, which was held one week to the day before the election (October 28). "After trailing Carter by 8 points among registered voters (and by 3 points among likely voters) right before their debate, Reagan moved into a 3-point lead among likely voters immediately afterward." The League of Women Voters had announced a schedule of debates similar to 1976, three presidential and one vice presidential. No one had much of a problem with this until it was announced that Rep. John Anderson might be invited to participate along with Carter and Reagan. Carter steadfastly refused to participate with Anderson included, and Reagan refused to debate without him. It took months of negotiations for the League of Women Voters to finally put it together. It was held on September 21, 1980 in the Baltimore Convention Center. Reagan said of Carter's refusal to debate: "He [Carter] knows that he couldn't win a debate even if it were held in the Rose Garden before an audience of Administration officials with the questions being asked by Jody Powell." The League of Women Voters promised the Reagan campaign that the debate stage would feature an empty chair to represent the missing president. Carter was very upset about the planned chair stunt, and at the last minute convinced the League to take it out. The debate was moderated by Bill Moyers. 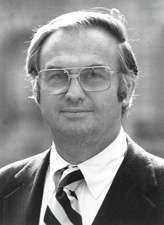 Anderson, who many thought would handily dispatch the former Governor, managed only a draw, according to many in the media at that time. The Illinois congressman, who had been as high as 20% in some polls, and at the time of the debate was over 10%, dropped to about 5% soon after. Anderson failed to substantively engage Reagan, instead he started off by criticizing Carter: "Governor Reagan is not responsible for what has happened over the last four years, nor am I. The man who should be here tonight to respond to those charges chose not to attend," to which Reagan added: "It's a shame now that there are only two of us here debating, because the two that are here are in more agreement than disagreement." 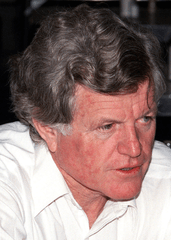 In one moment in the debate, Reagan commented on a rumor that Anderson had invited Senator Ted Kennedy to be his running mate by asking the candidate directly, "John, would you really prefer Teddy Kennedy to me?" President Carter (left) and former Governor Reagan (right) at the presidential debate on October 28, 1980. Moderated by Howard K. Smith and presented by the League of Women Voters, the presidential debate between President Carter and Governor Reagan ranked among the highest ratings of any television show in the previous decade. Debate topics included the Iranian hostage crisis, and nuclear arms treaties and proliferation. Carter's campaign sought to portray Reagan as a reckless "war hawk," as well as a "dangerous right-wing radical". But it was President Carter's reference to his consultation with 12-year-old daughter Amy concerning nuclear weapons policy that became the focus of post-debate analysis and fodder for late-night television jokes. President Carter said he had asked Amy what the most important issue in that election was and she said, "the control of nuclear arms." A famous political cartoon, published the day after Reagan's landslide victory, showed Amy Carter sitting in Jimmy's lap with her shoulders shrugged asking "the economy? the hostage crisis?" In describing the national debt that was approaching $1 trillion, Reagan stated "a billion is a thousand millions, and a trillion is a thousand billions." When Carter would criticize the content of Reagan's campaign speeches, Reagan began his counter with the words: "Well... I don't know that I said that. I really don't." The election was held on November 4, 1980. 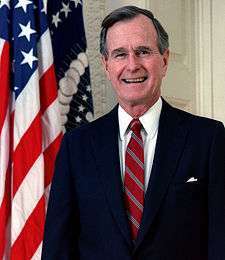 Ronald Reagan and running mate George H. W. Bush beat Carter by almost 10 percentage points in the popular vote. Republicans also gained control of the Senate for the first time since 1952 on Reagan's coattails. 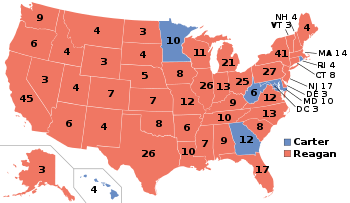 The electoral college vote was a landslide, with 489 votes (representing 44 states) for Reagan and 49 for Carter (representing six states and Washington, D.C.). NBC News projected Reagan as the winner at 8:15 pm EST (5:15 PST), before voting was finished in the West, based on exit polls; it was the first time a broadcast network used exit polling to project a winner, and took the other broadcast networks by surprise. Carter conceded defeat at 9:50 pm EST. Carter's loss was the worst performance by an incumbent President since Herbert Hoover lost to Franklin D. Roosevelt by a margin of 18% in 1932. 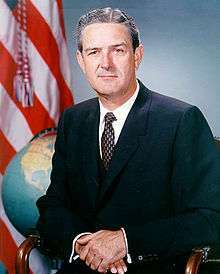 Also, Carter was the first incumbent Democrat to serve only one full term since James Buchanan and lose re-election since Andrew Johnson; Grover Cleveland served two non-consecutive terms while Harry Truman and Lyndon B. Johnson served one full term in addition to respectively taking over following the deaths of Franklin D. Roosevelt and John F. Kennedy. Carter carried only Georgia (his home state), Maryland, Minnesota, Hawaii, West Virginia, Rhode Island, and the District of Columbia. 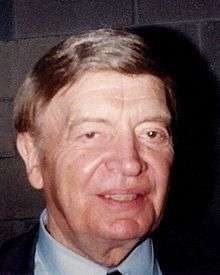 John Anderson won 6.6% of the popular vote but failed to win any state outright. He found the most support in New England, fueled by liberal Republicans who felt Reagan was too far to the right; his best showing was in Massachusetts, where he won 15% of the popular vote. Conversely, Anderson performed worst in the South. Anderson failed to achieve the spoiler effect, due to Reagan's strong showing and the fact that he arguably attracted many more disgruntled Democrats than Republicans. Libertarian Party candidate Ed Clark received 921,299 popular votes (1.06%). 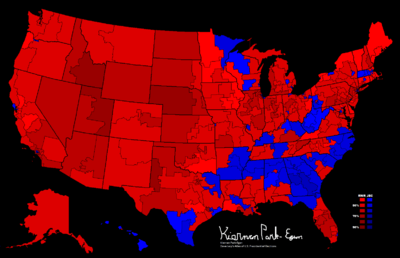 The Libertarians succeeded in getting Clark on the ballot in all 50 states and the District of Columbia. Clark's best showing was in Alaska, where he received 11.66% of the vote. The 921,299 votes achieved by the Clark–Koch ticket was the best performance by a Libertarian presidential candidate until 2012, when the Johnson–Gray ticket received 1,273,667 votes. Reagan won 53% of the vote in reliably Democratic South Boston. His electoral college victory of 489 electoral votes (90.9% of the electoral vote) was the most lopsided electoral college victory for a first-time President-elect. Although Reagan was to win an even greater Electoral College majority in 1984, the 1980 election nonetheless stands as the last time some currently very strong Democratic counties gave a Republican majority or plurality. Notable examples are Jefferson County in Washington State, Lane County, Oregon, Marin and Santa Cruz Counties in California, McKinley County, New Mexico, Polk County, Iowa and Rock Island County, Illinois. 1980 is one of only two occurrences of a pair of consecutive elections seeing the incumbent President defeated, the other one happening in 1892. Source: CBS News/New York Times interviews with 12,782 voters as they left the polls, as reported in The New York Times, November 9, 1980, p. 28, and in further analysis. The 1976 data is from CBS News interviews. 1 2 "Oil Squeeze". Time magazine. 1979-02-05. Archived from the original on 7 March 2008. Retrieved December 18, 2013. ↑ "Inflation-proofing". ConsumerReports.org. 2010-02-11. Retrieved December 18, 2013. ↑ "Jimmy Carter". American Experience. PBS. 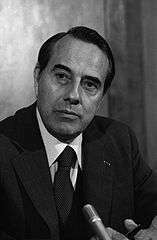 ↑ ""Crisis of Confidence" Speech (July 15, 1979)" (text and video). Miller Center, University of Virginia. ↑ Allis, Sam (2009-02-18). "Chapter 4: Sailing Into the Wind: Losing a quest for the top, finding a new freedom". The Boston Globe. Retrieved March 10, 2009. ↑ Marra, Robin F.; Ostrom, Charles W.; Simon, Dennis M. (1 January 1990). "Foreign Policy and Presidential Popularity: Creating Windows of Opportunity in the Perpetual Election". The Journal of Conflict Resolution. 34 (4): 588–623. JSTOR 174181. ↑ "Chapter 3 : The Iranian Hostage Rescue Mission" (PDF). Press.umich.edu. Retrieved 2016-08-18. 1 2 Jerry Lanson (November 6, 2008). "A historic victory. A changed nation. Now, can Obama deliver?". Christian Science Monitor. Retrieved November 5, 2008. ↑ David Leip (2005). 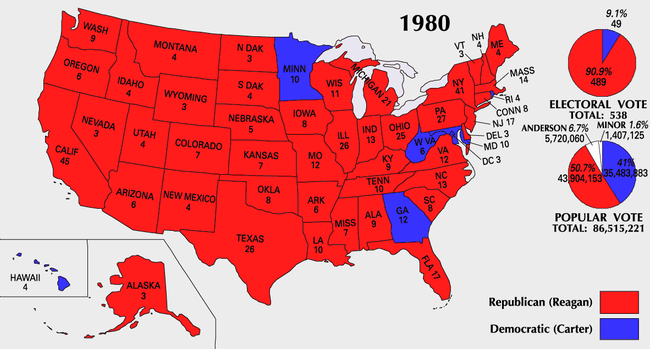 "1980 Presidential General Election Results". 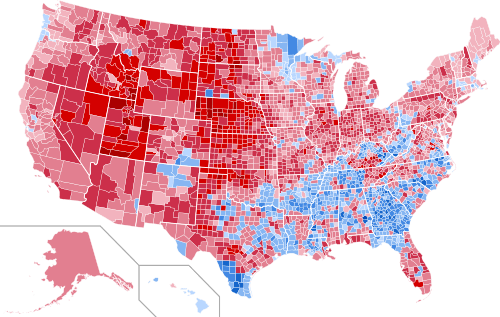 Atlas of U.S. Presidential Elections. Retrieved November 23, 2011. ↑ Moore, John (2013-12-16). Elections A-Z. Routledge. ISBN 9781135938703. ↑ Frum, David (2000). How We Got Here: The '70s. New York, New York: Basic Books. p. 161. ISBN 0-465-04195-7. ↑ "When worlds collide: politics, religion, and media at the 1970 East Tennessee Billy Graham Crusade. (appearance by President Richard M. Nixon)". Journal of Church and State. March 22, 1997. Retrieved August 18, 2007. ↑ Carter, Jimmy (2010). White House Diary. New York, N.Y: Farrar, Straus and Giroux. p. 469. 1 2 Frum, David (2000). How We Got Here: The '70s. New York, New York: Basic Books. p. 283. ISBN 0-465-04195-7. 1 2 3 4 5 Frum, David (2000). How We Got Here: The '70s. New York, New York: Basic Books. p. 344. ISBN 0-465-04195-7. ↑ Thorndike, Joseph J. (November 10, 2005). "Historical Perspective: The Windfall Profit Tax -- Career of a Concept". TaxHistory.org. Retrieved November 6, 2008. ↑ "Archived copy" (PDF). Archived from the original (PDF) on February 11, 2012. Retrieved January 12, 2015. , CRS Report RL33305, The Crude Oil Windfall Profit Tax of the 1980s: Implications for Current Energy Policy, by Salvatore Lazzari, p. 5. ↑ Melich, Tanya (July 18, 2005). "O'Connor's Tenure Began One Hot Summer". Womens eNews. Retrieved May 28, 2010. ↑ James Taranto; Leonard Leo (2004). Presidential Leadership. Wall Street Journal Books. ISBN 978-0-7432-7226-1. Retrieved October 20, 2008. ↑ Kneeland, Douglas E. (August 4, 1980). "Reagan Campaigns at Mississippi Fair; Nominee Tells Crowd of 10,000 He Is Backing States' Rights". New York Times. p. A11. ↑ Bridges, Andrew (March 17, 2003). "Here We Go Again!". CBS News. Retrieved October 20, 2008. ↑ Nate Cohn (September 12, 2012). "Exploding the Reagan 1980 Comeback Myth". The New Republic. Retrieved October 3, 2012. ↑ Inc., Gallup,. "Late Upsets Are Rare, but Have Happened". Retrieved 2016-08-25. ↑ Shirley, Craig (2009). Rendezvous with Destiny: Ronald Reagan and the Campaign That Changed America. Wilmington, Delaware: ISI Books. p. 478. ISBN 978-1-933859-55-2. ↑ Shirley, Craig (2009). Rendezvous with Destiny: Ronald Reagan and the Campaign That Changed America. Wilmington, Delaware: ISI Books. p. 479. ISBN 978-1-933859-55-2. ↑ "Fred Barnes on Conversations with Bill Kristol". Conversationswithbillkristol.org. Retrieved 2016-08-18. ↑ "The Second 1980 Presidential Debate". PBS. Retrieved October 20, 2008. ↑ MacNeil-Lehrer NewsHour (December 12, 2005). Online NewsHour: "Remembering Sen. Eugene McCarthy". December 12, 2005. PBS. ↑ "Voters the choice is yours". St. Petersburg Times. 4 November 1980. Retrieved January 16, 2014. ↑ "Reagan in a landslide". Pittsburgh Post-Gazette. 5 November 1980. Retrieved January 16, 2014. ↑ "1980 Presidential General Election Data - National". Uselectionatlas.org. Retrieved March 18, 2013.